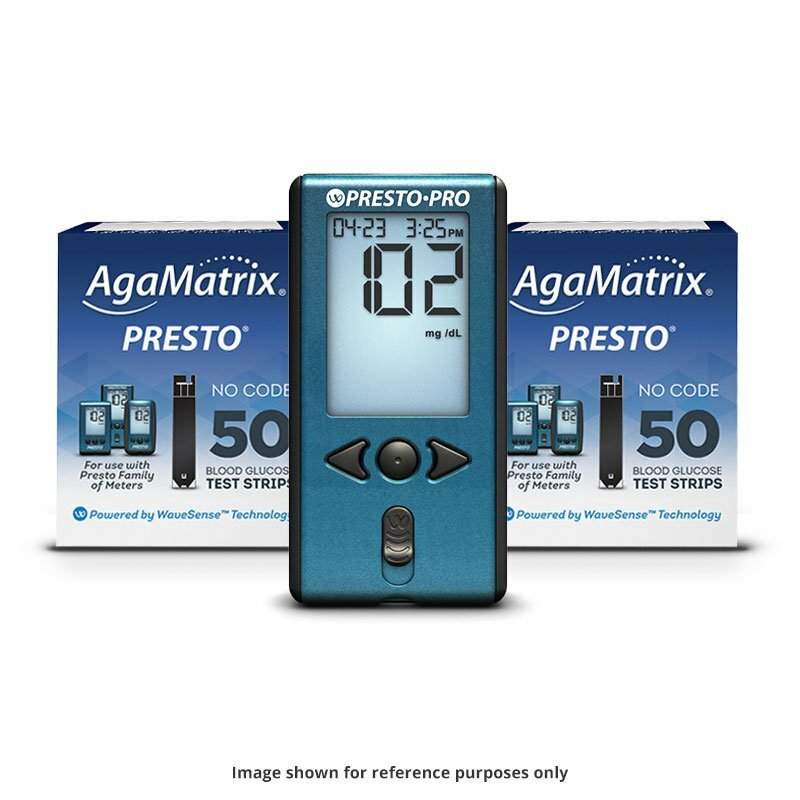 AgaMatrix Presto Blood Glucose Test Strips are for use with the AgaMatrix Presto and Presto Pro Blood Glucose Monitoring Systems, and provide fast, accurate results. Includes 48 boxes of test strips and 12 FREE meter kits! Includes 48 boxes of test strips - plus 12 FREE AgaMatrix Presto Meter Kits!